Larger children and adults will enjoy this Magic Cage. 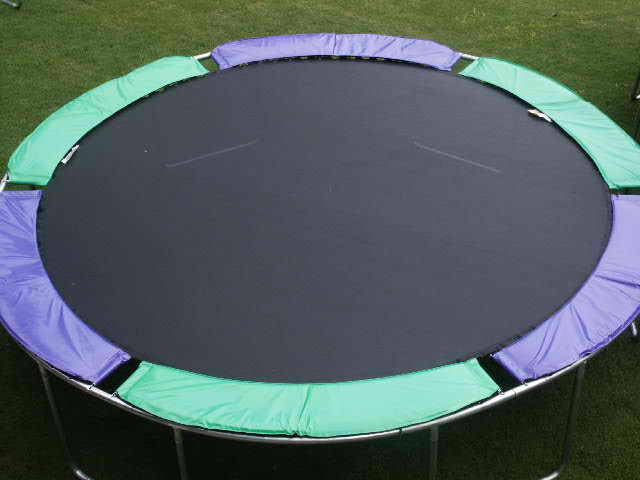 It is our most popular, of the round trampolines. It is PERFECT, if you have a growing family – children don’t stay small for long. It holds up to 450 lbs. The Magic Cage is a fully integrated system which provides the ultimate in safety for your children. 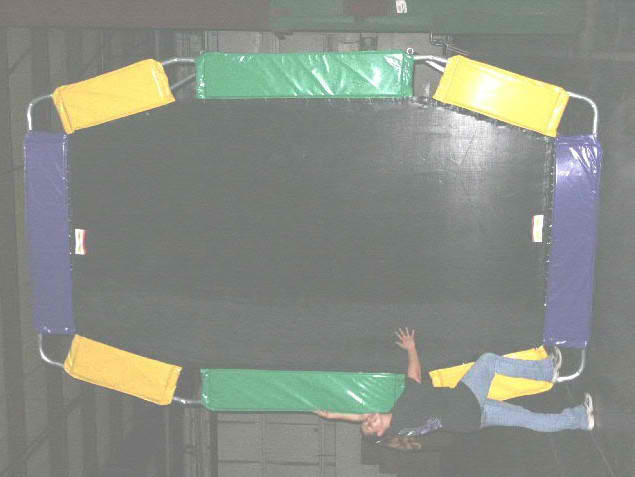 The safety cage is sewn directly to the jumping mat providing the absolute safest jumping environment. 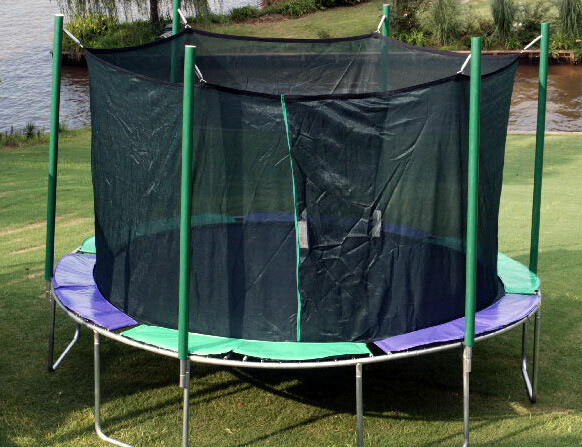 The cage is knitted from the same strong polypropylene fiber that the jumping mat is made from. Even the smallest jumpers are safe, as they can not slip through or between the cage and mat as in other safety systems. 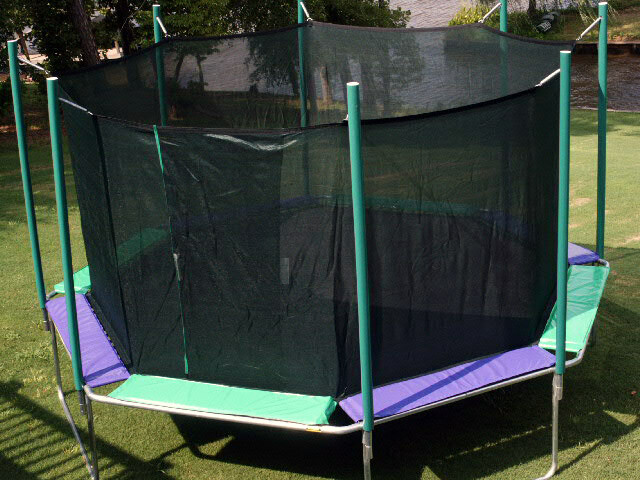 Easy to assemble as there are no nuts or bolts and there are no straps to join the cage to the jumping mat. For the safest environment for your family choose a Magic Cage!